This version of the .375 has an attached Gold Clip. Just Released! 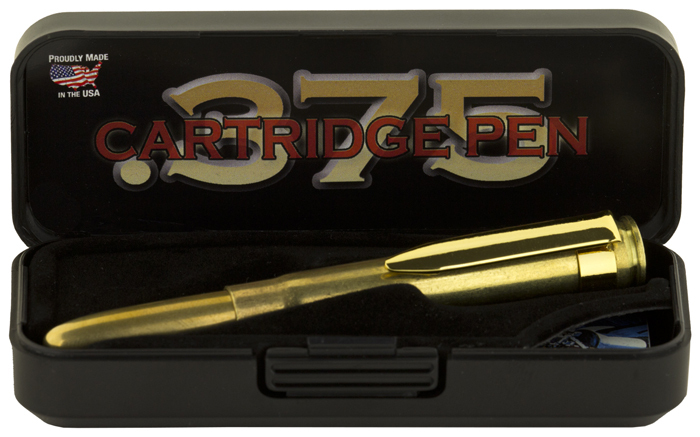 The Cap of this exciting new Space Pen model is an actual .375 H & H Mag Shell. What a special gift for the hunter or outdoors enthusiast. Inside is a Raw Brass Cartridge Space Pen.